Pendragon has landed ..well..some have …. 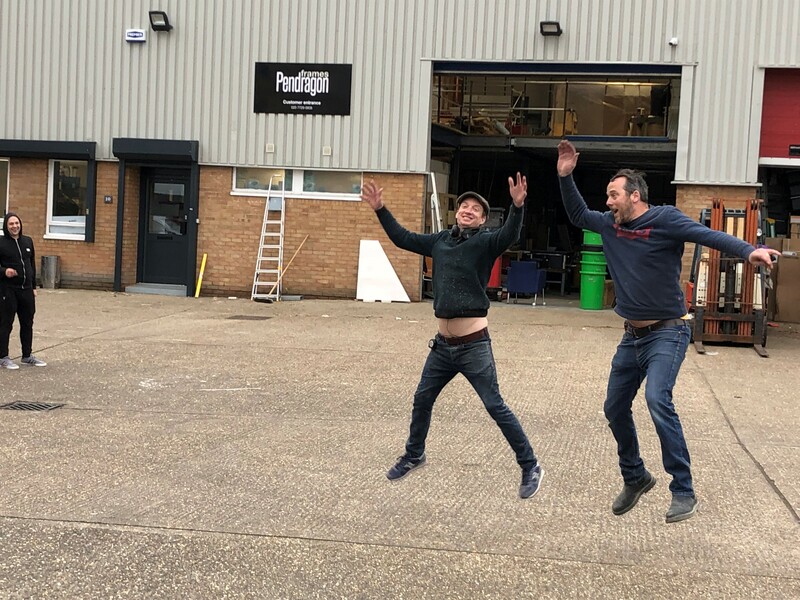 It’s been a tough couple of weeks so far moving a 25 year old business and it hasn’t been without blood, sweat and tears.But needless to say that Team Pendragon have been fantastic with such a task and managing to see some of our first customers visit the new Seven Sisters site. 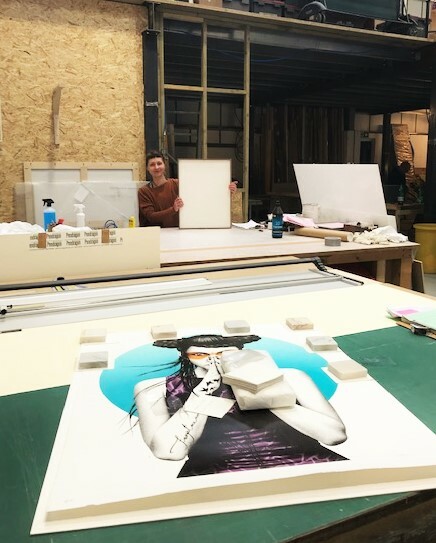 So while Elina is calmly getting on the with the art of framing and mounting up some gorgeous artworks by Findac some other members can think of nothing better to do then mess about outside or maybe jumping joy?? What do you think?? Come up and see us and find out what was going on? ?